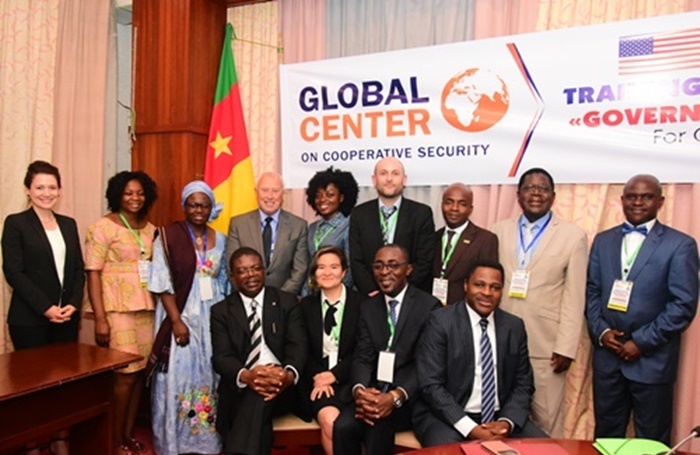 The Global Center and the National School of Administration and Magistracy in Yaoundé held a training of trainers seminar launching the two-year project, “Building Good Governance and Counterterrorism Capacity in Cameroon,” supported by the government of the United States. The project aims to enhance the delivery of justice and good governance to communities vulnerable to terrorist activity, notably in the Far North Region. Recognizing that effective counterterrorism measures and the protection of human rights and the rule of law are complementary and mutually reinforcing goals, the program focuses on enhancing the skills, knowledge, and collaborative toolsets of civilian administrators and magistrates to build on the country’s longer term preventive strategy through improved delivery of justice and good governance practices. To reflect the diversity of approaches and solutions, a distinguished pool of participants of this program drew from trainers and experts with varied professional backgrounds. They include academics, magistrates, administrators, psychologists, law enforcement officers, and members of civil society. Since extending its campaign to Cameroon, Boko Haram has exacted a heavy toll on the ethnically diverse and economically devastated border communities of the Far North Region. The military has made important gains on the ground, and, to capitalize on those achievements, regional and local leaders must be supported in their efforts to respond to the needs of victims and communities. They raise complex issues of accountability, rehabilitation, and reintegration which require a whole-of-society effort to lay a foundation for sustained peace and development. For additional information, please contact Melissa Lefas, Director of Rule of Law Programs at the Global Center (mlefas@globalcenter.org).